Looking out from the woods where tree cutting has started next to the McMillan orchard. The trees the photographer is surrounded by will be removed. This view was taken facing east at approximately 4:00 PM on Friday, August 20, 2010. 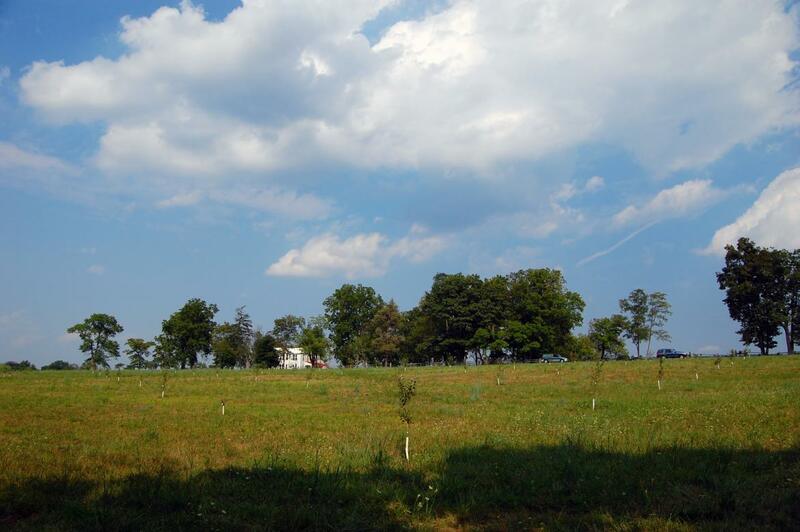 The McMillan Woods tree cutting project has begun off of West Confederate Avenue on Seminary Ridge. We’ll show you a few shots of the progress made in this area so far. 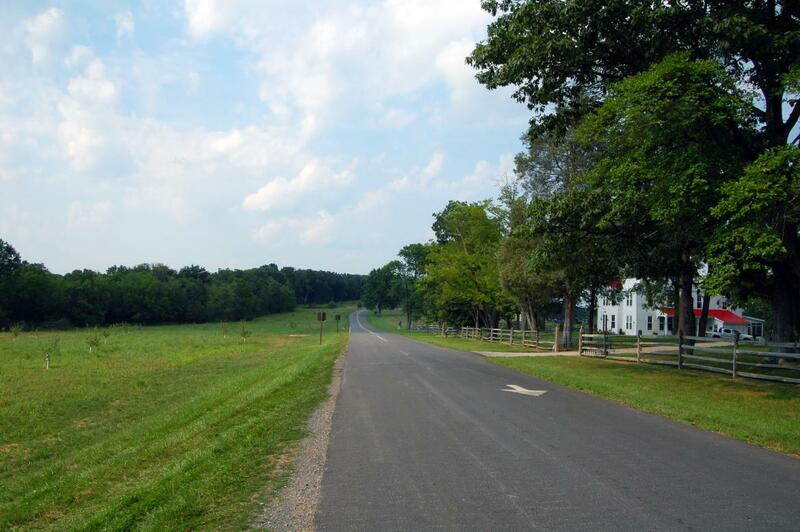 The David McMillan House is in the right portion of this view. The photographer is standing on West Confederate Avenue. 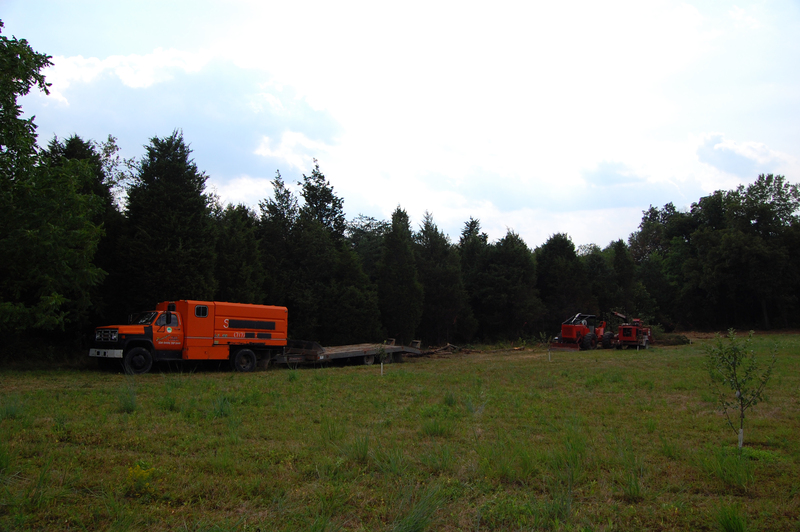 The tree cutting is taking place to the left of this photo … This view was taken facing south at approximately 4:00 PM on Friday, August 20, 2010. 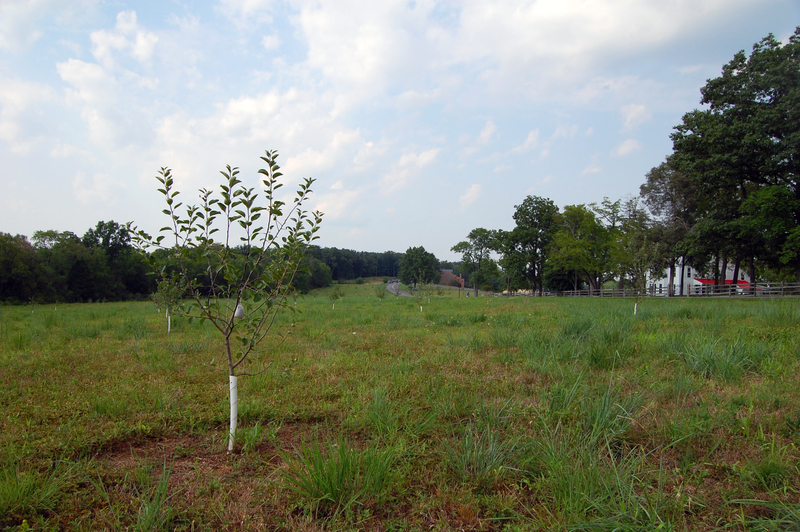 … but first, we thought we’d show you that the trees planted in the apple orchard are coming in nicely. Looking just a bit more to our left … This view was taken facing south at approximately 4:00 PM on Friday, August 20, 2010. 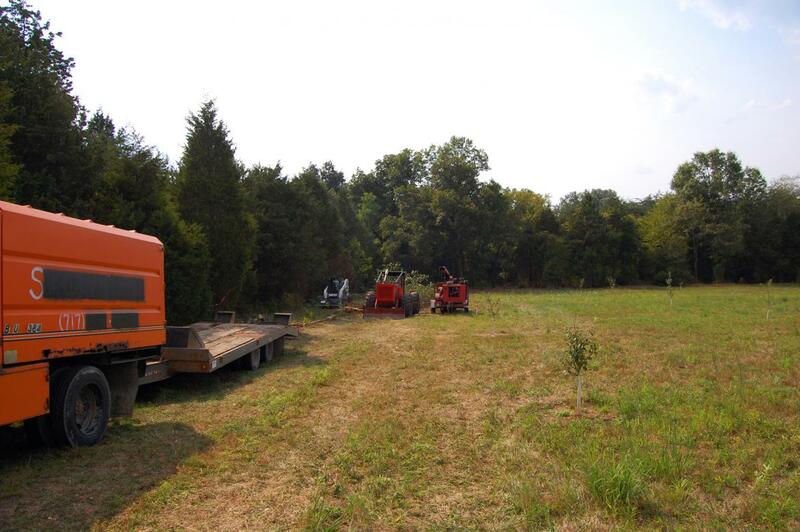 … is the area of the tree cutting at the border of the woods. This view was taken facing northwest at approximately 4:00 PM on Friday, August 20, 2010. 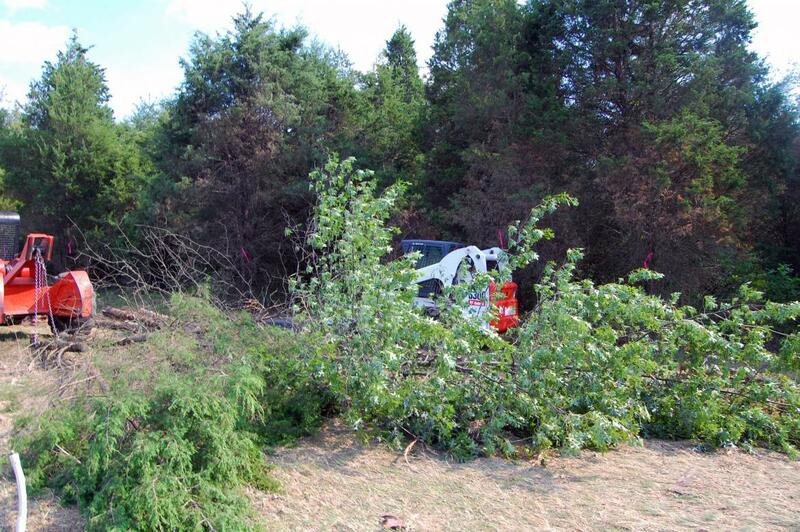 The usual contractor equipment we’ve become familiar with over the years when tree cutting occurs is here in force. This view was taken facing west at approximately 4:00 PM on Friday, August 20, 2010. 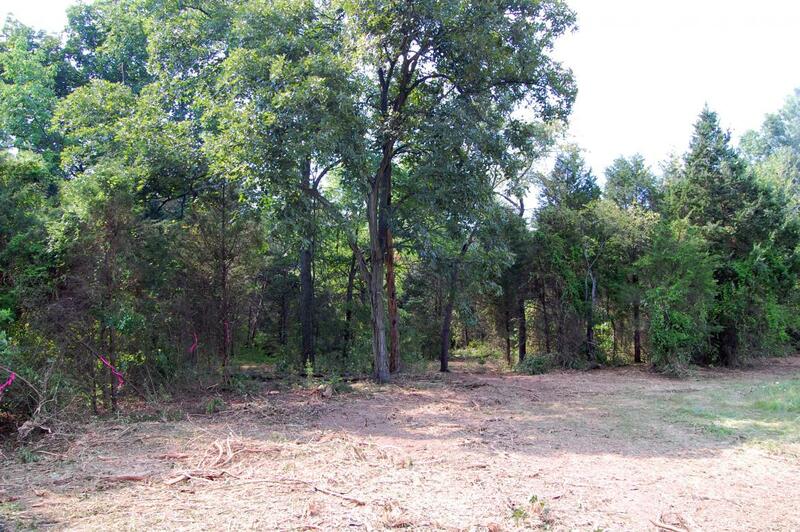 Just under eight acres of woods will be removed in this area, north of the McMillan campground. This view was taken facing north at approximately 4:00 PM on Friday, August 20, 2010. The trees in front of us in this view will be mostly removed. 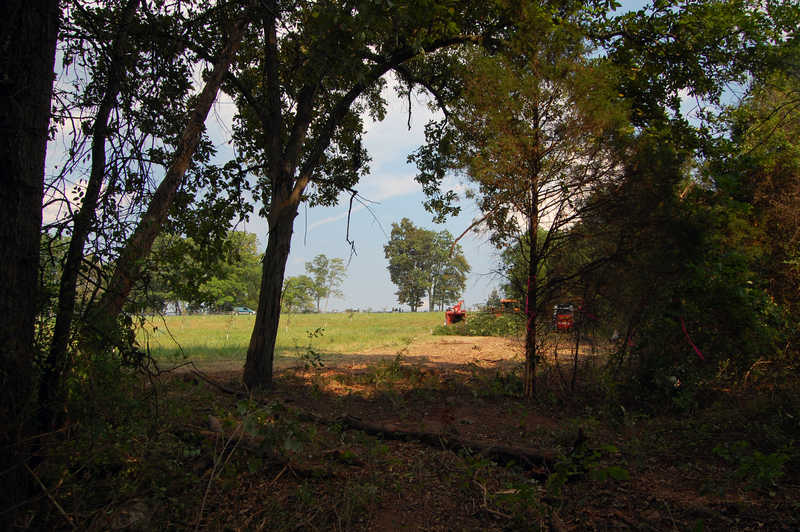 The boundary of the cutting extends from West Confederate Avenue, behind the photographer, into the woods before it meets a residential neighborhood on the other side. A screen of trees will be left at the border of the homes there. This view was taken facing west at approximately 4:00 PM on Friday, August 20, 2010. We’ll be sure to keep you updated as the clearing in this area progresses. This view was taken facing east at approximately 4:00 PM on Friday, August 20, 2010.